Banh Mi/Sandwich: Lightly toast the baguette and spread some mayonnaise, and fill with shrimps, coleslaw, cilantro, and green chilies. Serve immediately. Heat the vinegar and sugar in a small pan and bring to a boil. Simmer until the sugar has melted and then remove from the heat. Pour the syrup over the slaw and season well with salt. Toss everything together, and chilled before serving. 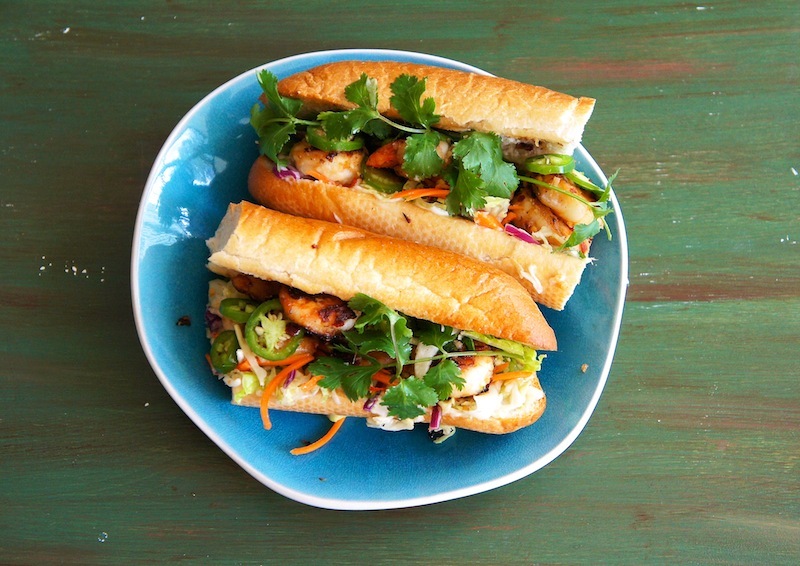 This is quite reminiscent of the shrimp po' boys I'm planning for lunch today. Quite fun.